Feel at home in the friendly atmosphere at the ibis Styles Nantes Centre Place Graslin hotel. Our team is on hand to ensure you have a truly unforgettable stay! 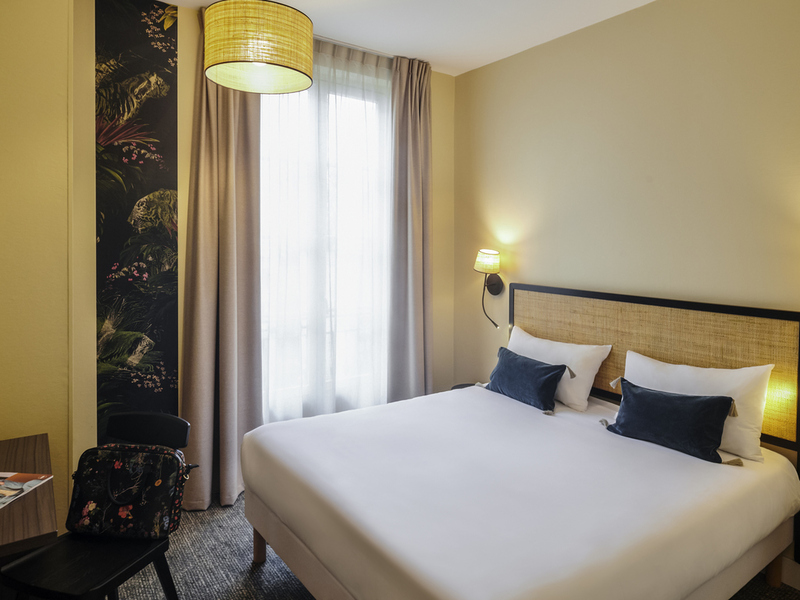 Breakfast and unlimited WIFI are included at the 3-star ibis Styles Nantes Centre Place Graslin hotel, located in the heart of the city center with a paying public car park nearby. It is ideal for your business, leisure or family travel. You'll love the proximity to public transport, making the main tourist sites accessible in just a few minutes: Passage Pommeraye, Graslin theater, Castle of the Dukes of Brittany, cathedral, Cité des Congrès events center and the famous Machines de l'île.